Our second collection is composed of 11 close fitting unisex models and 4 women models. 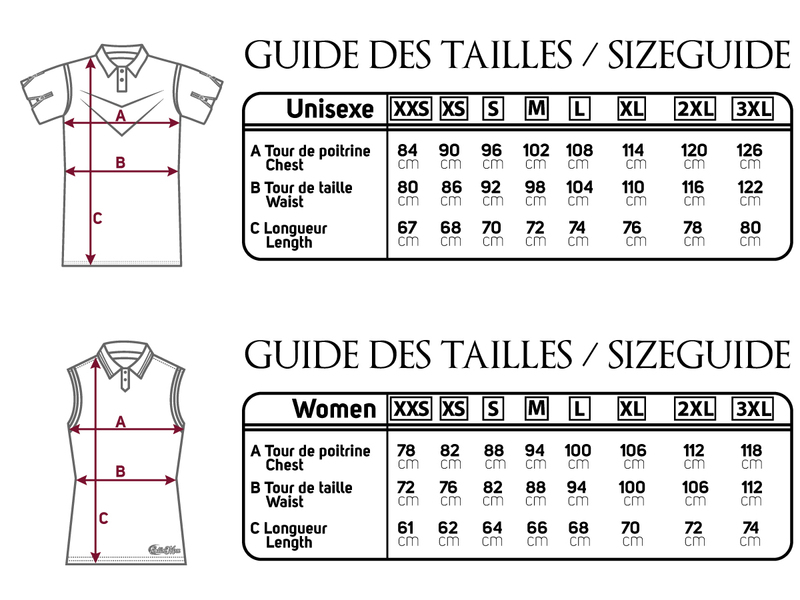 Before ordering, make sure to check the size guide, you might prefer order a size above your usual size to feel comfortable. Our first collection is composed of 8 very close fitting unisex models and 2 women models. 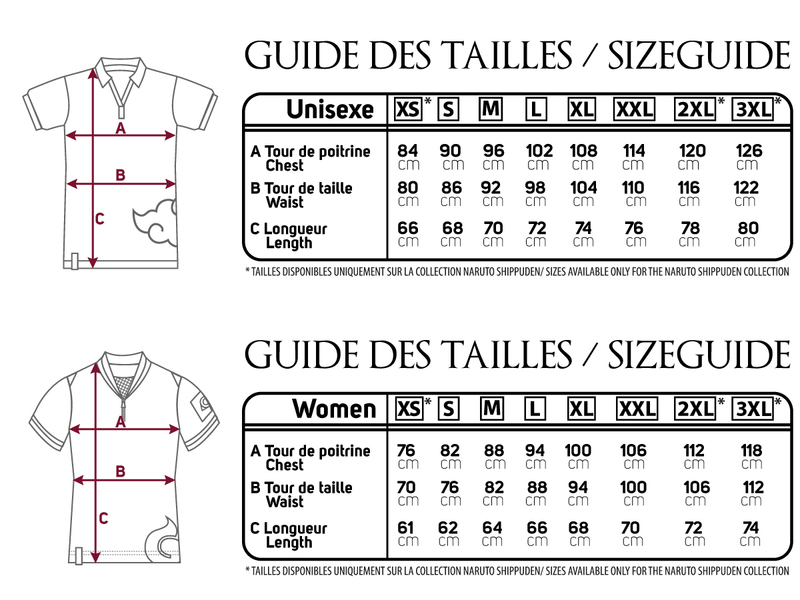 Before ordering, make sure to check the size guide, you might prefer order a size above your usual size to feel comfortable. Sizes are generally from S to XXL, however we added the sizes XS, 2XL and 3XL on our Naruto Shippuden collection only in order to meet the demand.